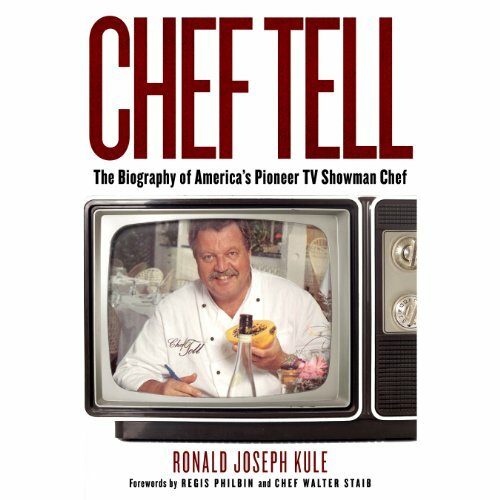 Showing results by author "Ronald Joseph Kule"
Before the heyday of the Food Network, there was Chef Tell - TV persona of Friedemann Paul Erhardt, America's first TV showman chef. Big on personality and flavor, Chef Tell was once called by Philadelphia magazine the "affably roguish Bad Boy of the Philadelphia restaurant world." Chef Tell explores how a young German American chef became America's biggest TV celebrity chef of his time. Most of Chef Tell's forty million baby boomer viewers - a number comparable to Julia Child's - never knew his fascinating, hardscrabble life story. Until now.